I can wait to see the new movie Grandma. I am a huge fan of Lily Tomlin! This movie looks funny and I love the relationship she has with her granddaughter! Growing up with a distant relationship with my own mom I was supper close to my grandmother! The cast of Grandma includes Lily Tomlin, Julia Garner, Marcia Gay Harden, Judy Greer, Laverne Cox, Sam Elliott, Nat Wolff and John Cho. Diagnosed with terminal cancer, decorated New Jersey Detective Lt. Laurel Hester (Julianne Moore) fights for pension benefits for her domestic partner (Ellen Page), with help from detective Dane Wells (Michael Shannon) and activist Steven Goldstein. When Jenny (Katherine Heigl) decides to marry a woman (Alexis Bledel), her conventional family must accept who she is or risk losing her forever. A strange and destructive relationship develops between a chef (Heather Graham) and her neighbor (Carrie-Anne Moss), a former child actress. Check out the Compulsion love scene here. Vic + Flow Saw a Bear is a darkly mysterious tale of lesbian two ex-cons, Victoria and Florence, trying to make a new life in the backwoods of Quebec. Seeking peace and quite, the couple the slowly begin to feel under siege as Vic’s probation office keeps unexpectedly popping up and a strange woman in the neighborhood soon turns out to be an increasingly menacing shadow from Flo’s past. Snuggle up with someone, grab a beer, pop some popcorn and fall in love with one of these movies! 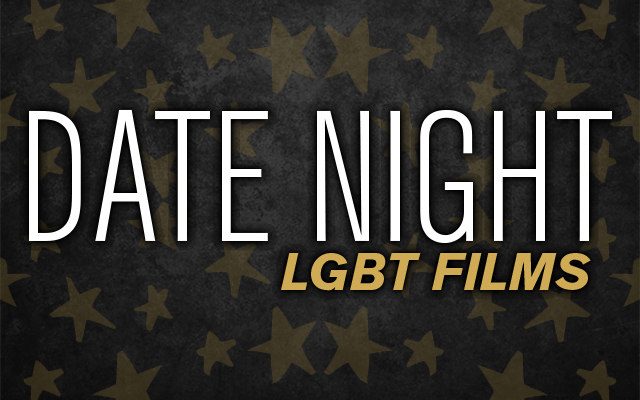 This entry was posted in Fun Stuff and tagged date night, LGBT Films by Janey Grace. Bookmark the permalink.